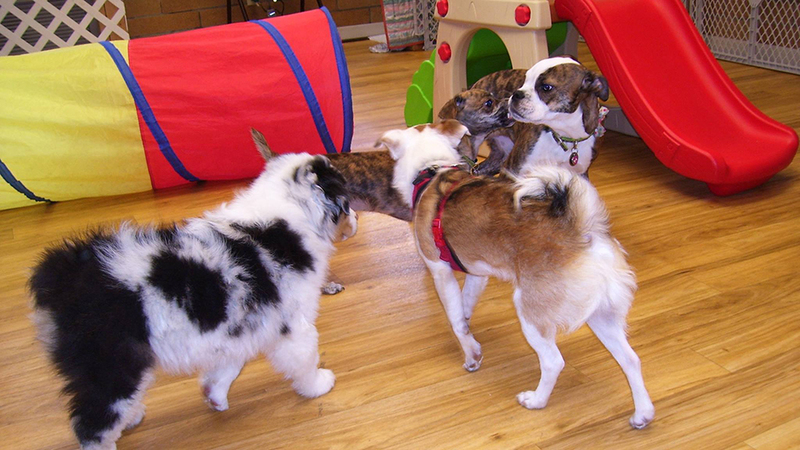 Wee Tails Play Care and Training Center is a doggy daycare center on Bend’s east side that offers a safe, fun and happy environment for medium to small dogs that are under 35 pounds. Started in 2015 with the goal to create a safe place for medium and smaller dogs to play, they also offer both private and semi-private classes for puppies and adults, with new classes starting throughout the month. Wee Tails promises include love and compassion; exercise as needed; fun time for every dog; no cages or crates; and ethical, honest business services you can trust. A two-hour minimum applies for daycare. Training for puppies and adults is offered in semi-private groups of up to five dogs, with classes running from 45 minutes to an hour for a six-week class that meets once a week, and private training is usually around 45 minutes for a 5-week course that meets once a week. Private training is also available. Open from 8:00 a.m. – 5:00 p.m. Monday – Friday, call to schedule a time for you both to meet. They also welcome out of town guests with proof of rabies and other vaccinations and offer monthly specials.